Smartphone and tablet users that are searching for a smarter mobile charging solution that can automatically control the charging limits of your phone or tablet. May be interested in the raboo which is launched via Kickstarter this week to raise the $50,000 it requires to go into production. The system consists of a wall charger and companion smartphone application that combine to create a mobile battery charging solution like no other currently available for both iOS and android devices. • Safe to keep your device on the charger all the time! 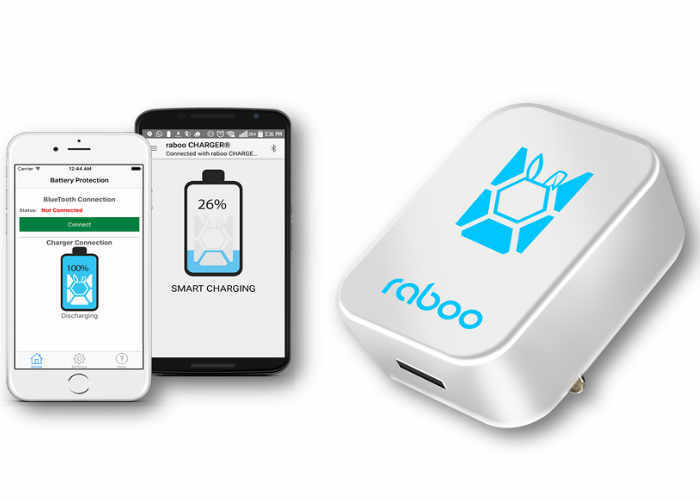 For more information on the new raboo mobile charging system jump over to the Kickstarter website for details by following the link below.